Narendra Modi has no right in his office! I finally received a reply from the Prime Minister’s Office (PMO) to my RTI query about the secret files it holds about Netaji Subhas Chandra Bose. There are at two puzzling answers here. One, the government states that if the information comes out, it will affect India’s sovereignty and relations from friendly foreign states. Although the PMO gave me a list of 36 secret files, it still withheld information on an additional five files about Bose. 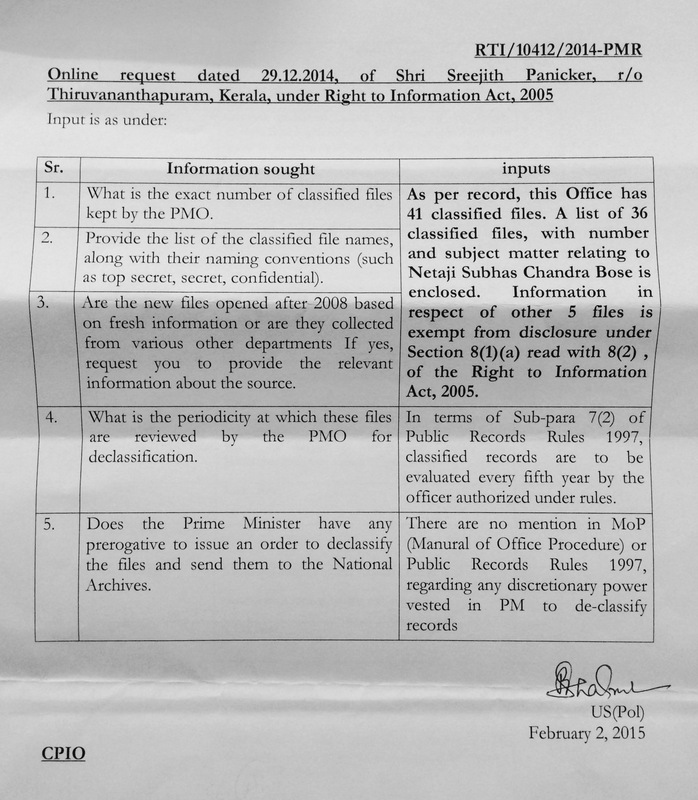 Two, the Prime Minister does not have any authority in issuing an order for declassification of the said files. What are the implications of these? The first one clearly shows that the information contained in the hidden files has the potential to affect India and its foreign relations. If revealing information about a national hero will spoil our relations with other countries, it shows nothing but a conspiracy. The second one implies that the Prime Minister does not have any authority in his office. Then who else decides matters in his office? This is apparently a sweet lie, that has gone all wrong. Here is news about the RTI – http://www.thehindu.com/news/national/no-power-to-declassify-netaji-files-pmo/article6905528.ece. Respond to Narendra Modi has no right in his office!